The digital underground resurfaces May 9 - 11, 2014 during a weekend of training, talks, and music at the Holiday Inn Oceanfront Hotel on Miami Beach. Work and learn alongside some of the most skilled hackers in the industry. HackMiami is proud to feature keynote presentations from Gary Bahadur, founder of Foundstone, and Dave Marcus, Chief Architect of Advanced Research and Threat Intelligence at McAfee Federal Advanced Programs Group. 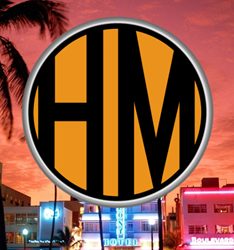 Hackers and information security experts will descend upon South Florida during the HackMiami 2014 Hackers Conference taking place on May 9-11, 2014, at the Miami Beach Holiday Inn Oceanfront Hotel. The HackMiami 2014 Hackers Conference seeks to bring together the brightest minds within the information security industry and the digital underground. This conference will showcase cutting edge hacking tools, techniques, and methodologies that are at the forefront of the global threat landscape. This hacking conference features three days of multiple tracks, comprehensive all day training courses, competitive tournaments, and informational events. Tickets for the conference and trainings are now available at HackMiami.com. We look forward to working with the information security community for another memorable South Florida gathering. This year, HackMiami is proud to feature a keynote presentation from Gary Bahadur, founder of Foundstone and one the original information security pioneers. We will also be joined again by Dave Marcus, Chief Architect of Advanced Research and Threat Intelligence at McAfee Federal Advanced Programs Group, who will speak on malware development trends of present day, and where he foresees them heading into the future. Participate in the latest incarnation of the notorious extreme hacking tournament. This competitive hacking simulation emulates live network environments that mimic the current cyber threats. Competitors will attack network infrastructure, web applications, and other players in this no-holds-barred digital cage match. Last year, victory was claimed by Portswigger and Rapid7, who will reign supreme in 2014? Maintaining HackMiami’s reputation as an organization that parties as hard as it works, the conference will host the Internet Computer Party on May 10, 2014. This live concert will feature performances by DJ Percent 27, YTCracker, and Dual Core. HackMiami is the premier partnership resource in South Florida for information security services such as vulnerability analysis, penetration testing, digital forensics, and on-site training.